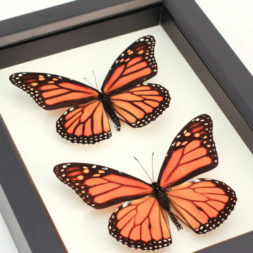 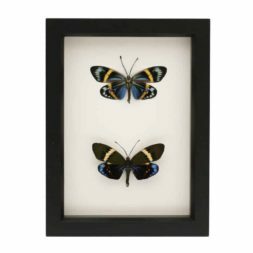 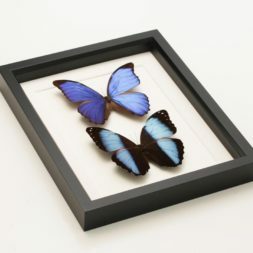 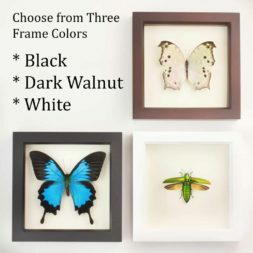 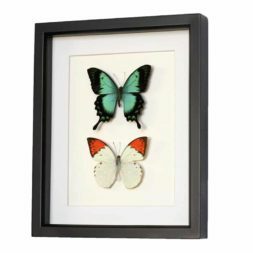 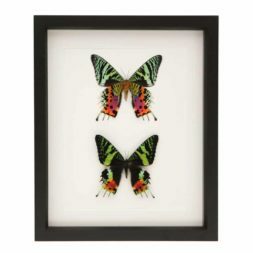 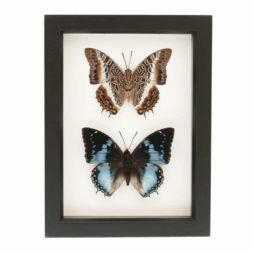 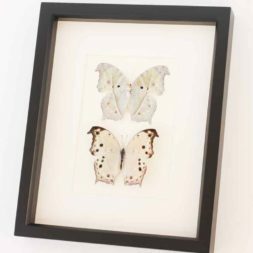 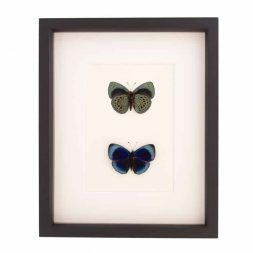 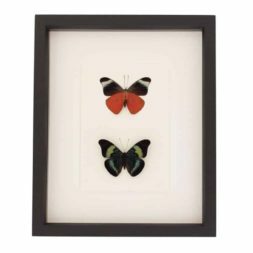 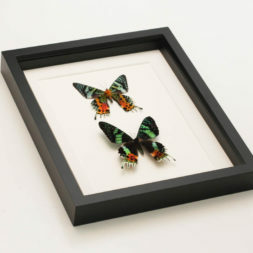 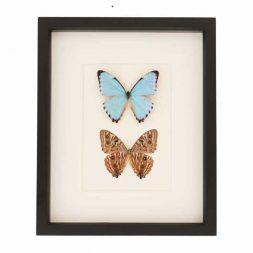 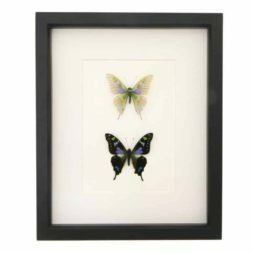 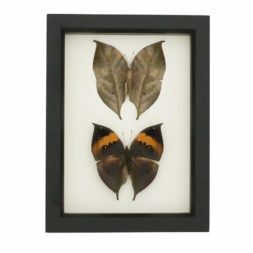 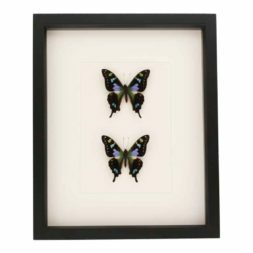 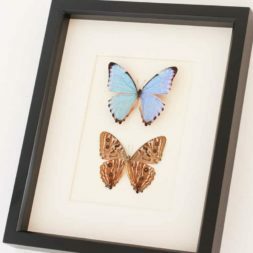 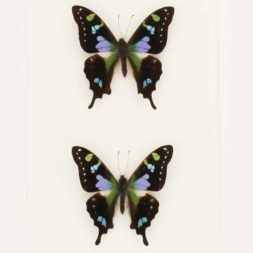 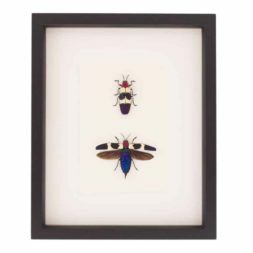 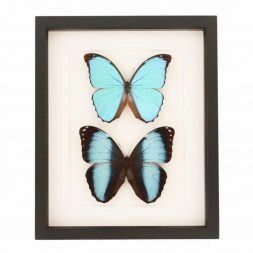 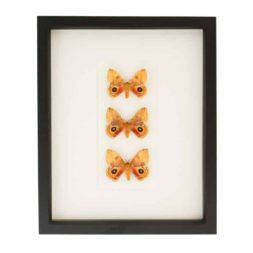 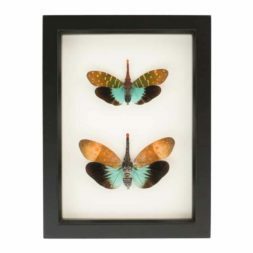 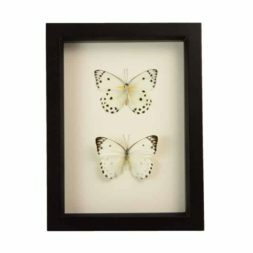 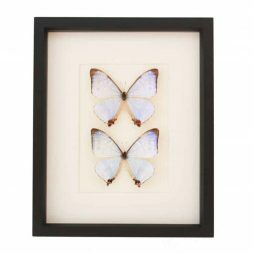 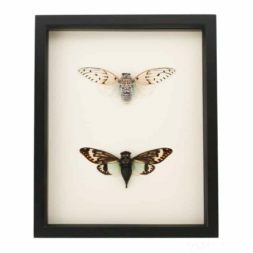 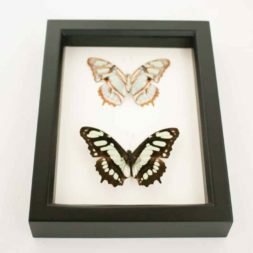 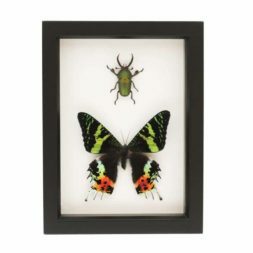 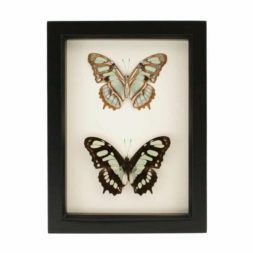 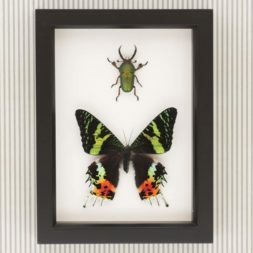 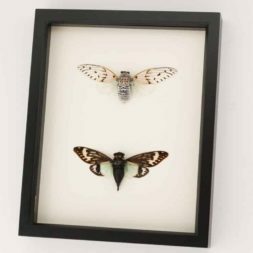 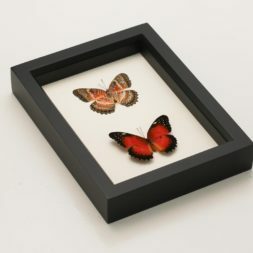 This collection of framed insects feature many displays with two specimens featuring the front and back, as well as other biological display styles, such as male & female Monarchs, tropical cicadas, skeleton butterfly, blue morphos, and species that just look good together. 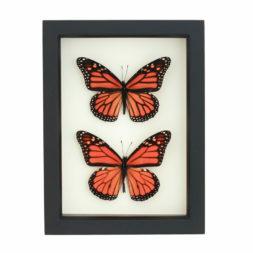 All are handmade in California by the artist and framed with UV blocking glass. 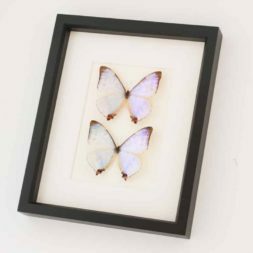 Featuring the front and back of the Mother of Pearl Butterfly from Africa. 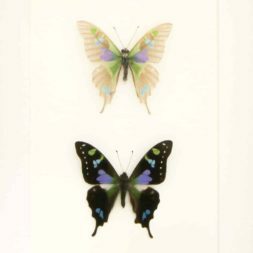 Displays the front and back of the Baeotus species from South America. 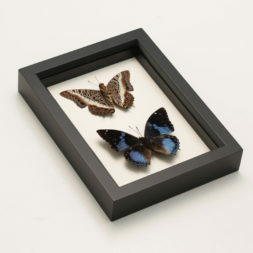 A collection of three preserved IO moths. 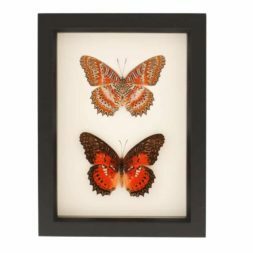 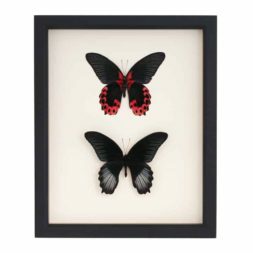 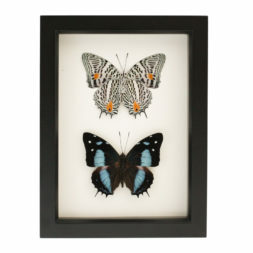 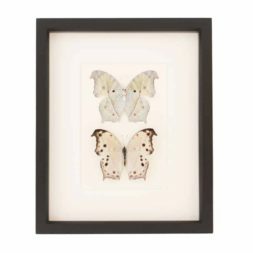 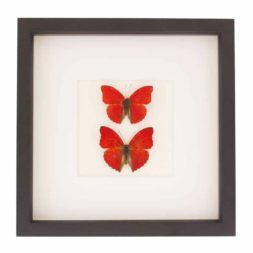 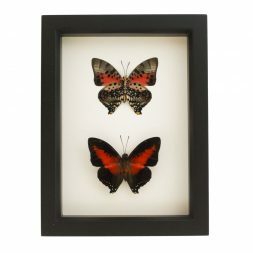 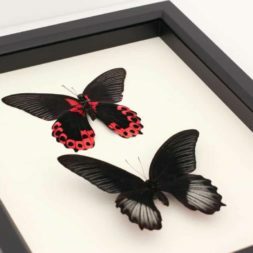 This butterfly collection features the Red Flasher butterfly with a mount of the front and back.